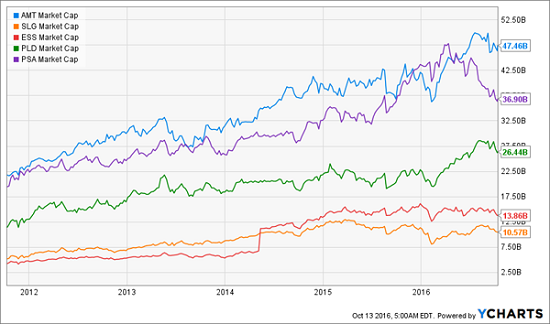 REITs have been on a wild ride in 2016. With some names up over 50% year-to-date just a few months ago, the recent correction has come as a bit of a shock. Some REITs have fallen by 10% in the past month, and more declines are feared for many names. In this situation, investing in REITs requires care and selectivity. We can’t just buy any REIT, or the Vanguard REIT Index Fund (VNQ), because we may be buying overpriced stocks that are destined to fall further. On the other hand, we want to get into this sector now – before the global manhunt for dividends sends these prices soaring. 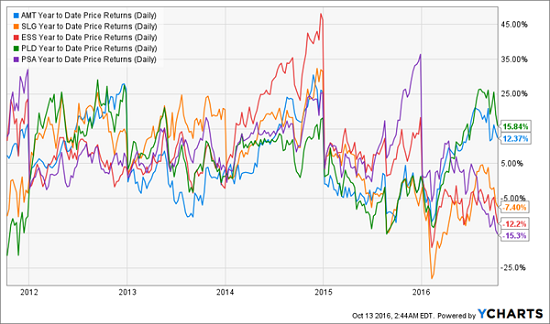 We can buy 5 high-quality, large cap REITs whose average year-to-date price return is actually slightly negative – which indicates the REIT correction is mostly or fully priced in. 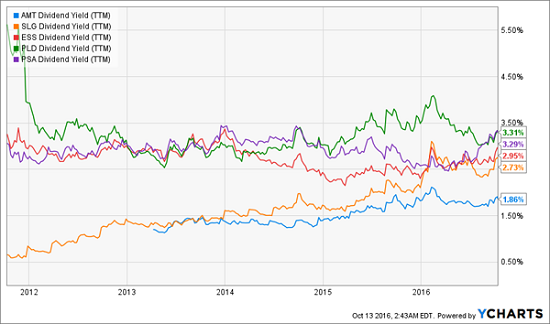 More importantly, these REITs have some of the largest dividend growth rates in the sector, meaning their yield is likely to get even better the longer we hold them. This is a portfolio of very high quality companies with wide moats, so we’re buying these to hold them for years, even decades. And the longer we hold them, the better our yield on cost will be. So what are these companies? The first is American Tower (AMT), a wireless data tower leaser. Next is Essex Property Trust (ESS), specializing in apartments on the west coast, mostly in California. Then we have SL Green Realty Corp. (SLG), a hybrid REIT that both lends to real estate investors and owns over 24 million square feet of office space. After that is Prologis (PLD), a logistics focused REIT. Finally, there’s Public Storage (PSA), which owns and rents out self-storage facilities throughout the country. Notice how diversified this portfolio is. These REITs operate in vastly different sectors and are correlated with different industries. Some, such as PSA and PLD, are counter-cyclical. Others, especially AMT and ESS, work in markets with enduring demand that resists market downturns. These are all high-quality companies in very good industries. With this continued growth of payouts, anyone who owns these stocks is going to see their income rise for as long as they hold these stocks. That’s why I don’t care about the 2.5% current yield on the portfolio, because if I buy and hold these stocks, then my yield will be 5.2% relative to my current cost basis in 5 years. In a decade my yield will be 10%. Consider the math of this for a second. A $500,000 investment in this portfolio will yield $26,000 annual income in 5 years and $50,000 in a decade. 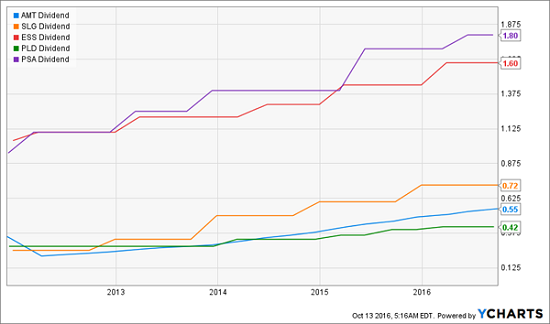 Buying and holding these REITs creates a hefty retirement income in just a decade. 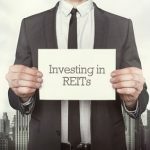 REITs are great dividend machines and the nature of their business model means dividend growth is nearly guaranteed, especially in the largest and best run firms. That’s why REITs are a big part of my No Withdrawal Portfolio – where I live off dividends alone without ever having to draw down principal. But we can’t buy any and all REITs, especially now. Selecting the right REITs with the best dividend growth potential is key. Additionally, we want to make sure we also buy other high quality assets that can get us an even higher yield – ideally 7% or 8% – to boost our income so that we never have to tap capital. Yes, it’s possible, but it takes careful planning and stock selecting. You can’t only buy blue chips like these because they simply don’t pay enough. Click here to read more about how to build your own no withdrawal portfolio to weather market downturns and get a growing stream of income.